The Pete Dye Golf Course at French Lick Resort - Indiana's 2017 Course of The Year. 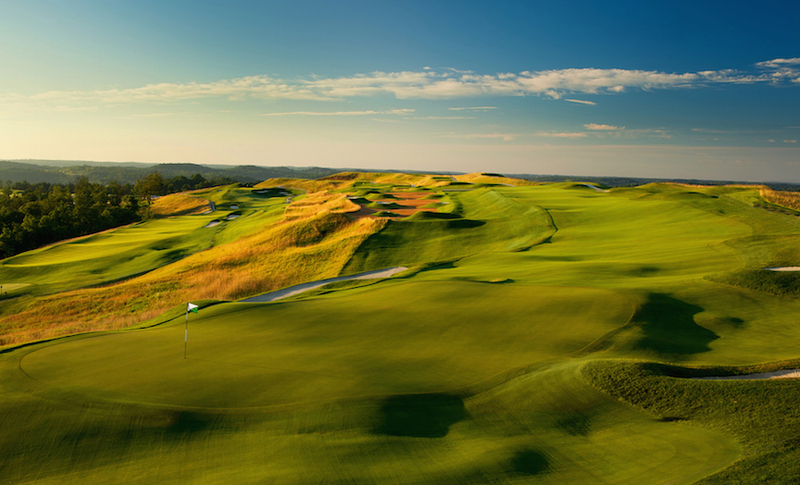 French Lick, IN – The Pete Dye Course at French Lick Resort, the award winning golf destination in Southern Indiana, has been named the 2017 Indiana Golf Course of the Year by the Indiana Golf Course Owners Association, a chapter of the National Golf Course Owners Association (NGCOA). The Course of the Year Award honors a member meeting four criteria: exceptional quality of the course, exceptional quality of ownership and management, outstanding contribution to its community, and significant contribution to the game. “The Pete Dye Course at French Link is not only one of the most breathtaking courses in the country to play, it is also among the best overall golf operations with sincere dedication to the game and community, it is truly one of Indiana’s crown jewels,” said Linda Rogers, Past President of the National Golf Course Owners Association, as well as a Past President of the Indiana Golf Course Owners Association, and owner of Juday Creek Golf Course. The course has been recognized for its many contributions to the community including millions of dollars of economic impact from major golf championships and job creation, as well as raising thousands of dollars through charity events including the Riley Children’s Foundation and Hospital at the Legends Championship. The Dye Course has also benefitted a number of students through the Evans Scholarship and caddie program the course provides, which was founded by the Western Golf Association (WGA) and specifically famed golfer Chick Evans Jr. in 1929. Today, more than 840 caddies are attending one of 19 universities on a Chick Evans Caddie Scholarship. The scholarship covers full tuition and housing costs for up to four years. A wonderful opportunity for youth. “The Pete Dye Course has become a symbol of excellence in our region being an economic driver that is changing the lives of so many people through jobs, major golf championships, and our many charitable events such as Riley’s Children’s Foundation with our Legends Championship,” said Dave Harner, French Lick Resort’s director of golf. “We are honored and humbled to once again be selected by our peers and represent the state of Indiana at the national golf course owners event. “This award is also a testament to the vision of Mr. Cook and long-time friend and Chairman of the Board of Cook Group, Inc., Steve Ferguson, who both recognized the impact that this project would have on the community and the thousands of lives who live in the region,” said Harner. The Dye course has already gained recognition as a leading national tournament site by hosting the 2015 Senior PGA Championship presented by KitchenAid, 2014 USGA State Team Championship, 2010 PGA Professional National Championship, 2012 Indiana Open, 2012-2014 Big Ten Men’s Championship, 2014 Big Ten Women’s Championship, and 2013-2016 LPGA Legends Championship. The Pete Dye Course now qualifies to be one of 50 courses competing for the 2017 NGCOA National Golf Course of the Year. The national winner will be announced at the NGCOA Golf Business Conference in Orlando, February 2017. French Lick Resort is a $600 million historic restoration and casino development spread dramatically across 3,000 scenic acres. It encompasses both the French Lick Springs Hotel and the West Baden Springs Hotel, which have been fully restored to their original sophistication and luxury, combine for 689 rooms and are located about one mile apart. The casino, built adjacent to the French Lick Springs Hotel, opened in 2006. West Baden Springs, with its spectacular massive dome, opened in 2007 after having not been used for its original luxurious purpose since 1932. Other facilities and amenities at this world-class golf resort destination include two spas with a 36 treatment rooms (they continue to offer the Pluto Mineral Springs bath), over 51,000 square feet of gaming space, 165,000 square feet of meeting space and a variety of dining and entertainment options. 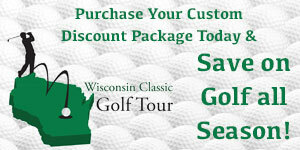 Free shuttle buses serve golfers and visitors from around the world. Visit www.frenchlick.com.